The premier place to stay during your vacation in the Adirondacks. 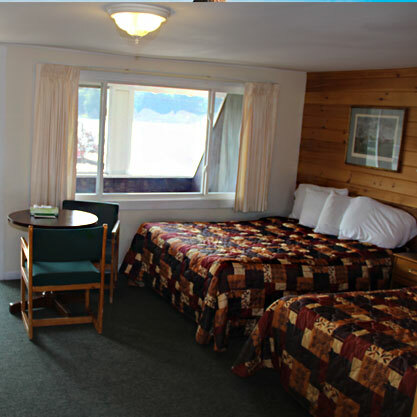 With our prime location on the Old Forge lakefront, we offer unparalleled convenience and service second to none. Walk to Old Forge Lake Cruises; Enchanted Forest Water Safari; Tourist Information Center; Rivett's Marina; Strand Theater; Mini Golf; and more. As well as all of the delectable restaurants and unique Adirondack shops along Main Street. The Adirondack Scenic Railroad is located a few minutes away by car in Thendara and runs scenic tours to Woodgate and Otter Lake or work on your golf swing at Thendara and Inlet Golf Courses. Swim in our large, heated, indoor pool no matter what the weather, or enjoy the public beach and brush up on your tennis with courts within a few minutes of your doorstep. The annual Antique Wooden Boat Show; Town Fireworks Displays; Summer Sunday Free Concert Series; Start of the Annual Canoe Classic; and more, all take place right in front of our lakeside rooms. 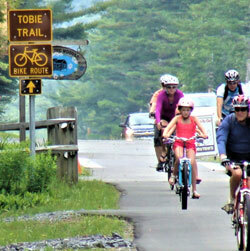 Relax walking, hiking or on the many biking trails including the nearby TOBIE Pedestrian Bike Path linking Thendara, Old Forge, Big Moose, Inlet & Eagle Bay (TOBIE) or just sit back by the pier and enjoy the beautiful sunset at Old Forge pond. Relax by the lake front with the great concerts scheduled all summer long. 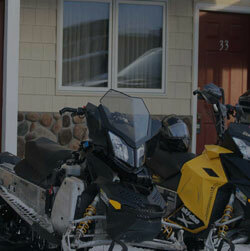 Ride your snowmobile from the door of your room to the renowned Town of Webb Snowmobile Trail System. McCauley Mountain is minutes away by car so you won't miss a moment of skiing and cross-country skiing.